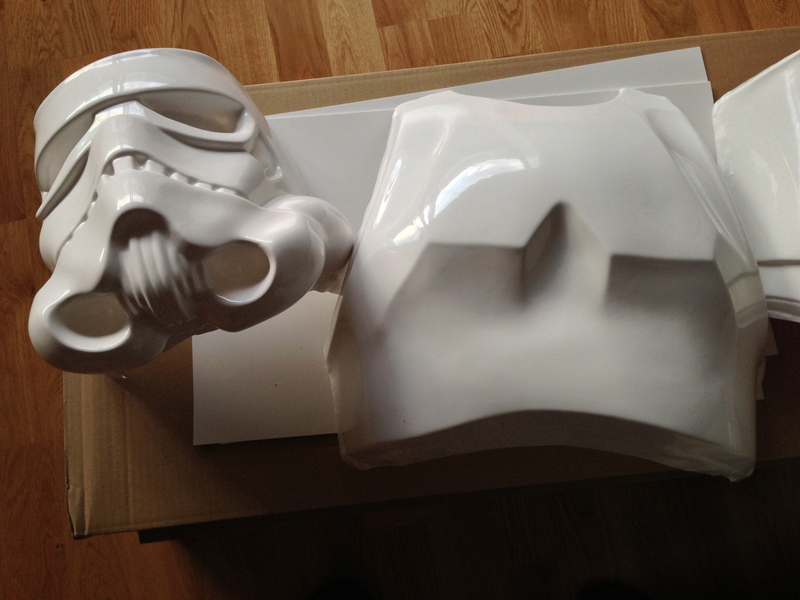 The next project: Making a Stormtrooper! A few months ago, I finished my Biker Scout, which was great fun, but back in September I had this idea that it would be kind of fun to have a Stormtrooper as well.. So, impulsive as I was, I placed an interest in a vacuum formed ABS plastic kit, that contained all the hard parts needed for a Stormtrooper armour, and then the waiting game began. Today, all that waiting paid off. 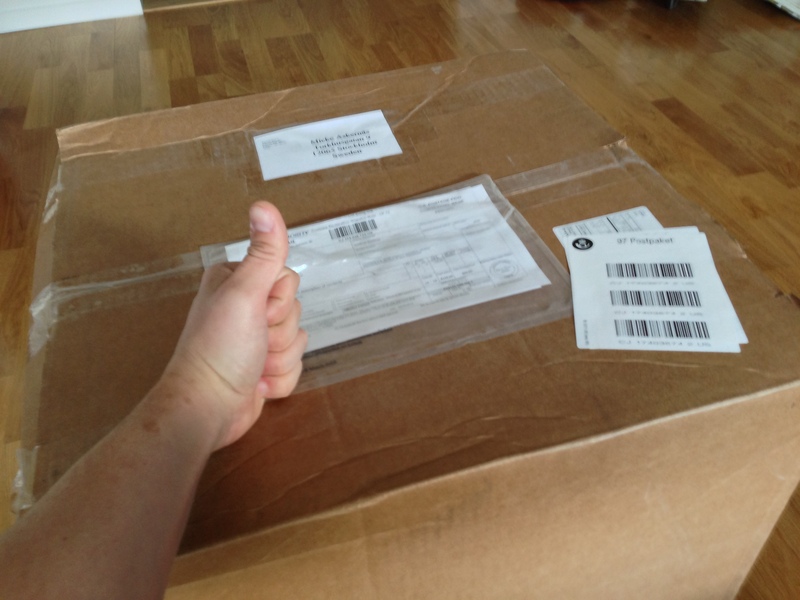 A lot of plastic, and untrimmed pieces that will kill all spare time I may or may not have for a while to come! I haven’t decided yet if they might be a tad too small or not, but only time will tell. They were really cheap, so I’m not too bothered about it. 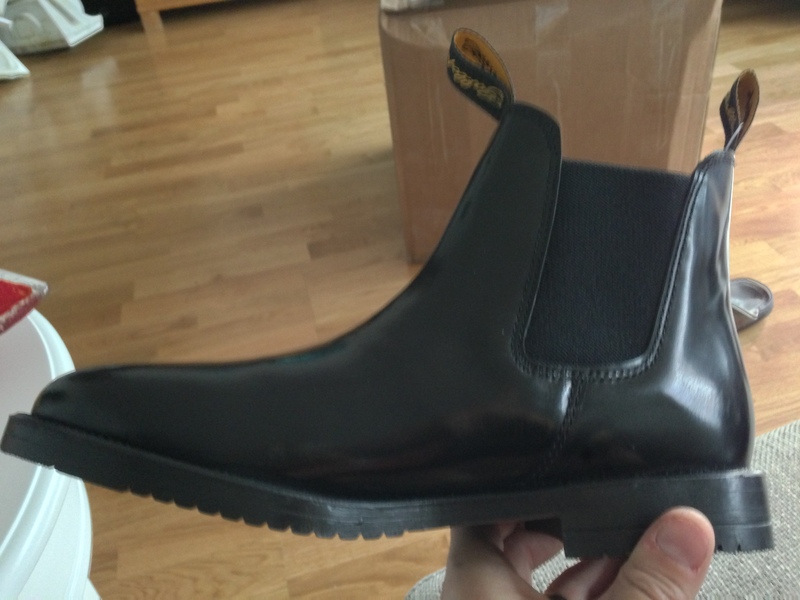 In worst case they’ll be an excellent pair of boots to try out the painting methods on! It will be a fun project nevertheless! By micke|2016-12-06T00:00:32+00:00April 10th, 2013|Stormtrooper|Comments Off on The next project: Making a Stormtrooper! This weekend, me and R2 was in Gothenburg for the annual Sci-Fi exhibition. We did arrive one day early in order to visit Drottning Silvias Children’s Hospital, a division of Sahlgrenska in Gothenburg. Getting there turned out to be harder than anticipated. Seems Sahlgrenska, who I thought was just one hospital, actually have three hospitals in Gothenburg, and naturally we went to the main one, unloaded R2, and started looking for our friends from Nordic Garrison that was going to be there as well. It soon dawned on us that we were at the wrong place! R2 did meet a couple of kids visiting, but we loaded him up and went as fast as we could to the *proper* hospital where we were supposed to be, just to find out that the main event with meet and greet for Star Wars characters was over. However, R2 had a different agenda. He had been specifically requested to meet a young boy who has a major heart condition. After wiping R2 off with rubbing alcohol, R2 and I went through the double sets of doors that served to block external bacteria from entering the room where the kid was. We entered into a room filled with all sorts of electronics and this young boy, sitting in a chair. A distinct scar on his torso served as witness to past surgery. This kid had been here a while. Meeting sick children like this really is a humbling experience. It reminds us, or at least me, of why we do these things. Normally when we are out doing photo shoots for charity, we only see healthy kids. Kids that are allowed to be just kids. But some kids do not have that luxury. Some kids spend their day being focused on just getting through the day. I have done a few things like this before, and it is always something that gets to you. You know you are doing good, but it is hard to feel really good inside afterwards. You can’t help but getting emotional. It is hard not to feel sympathy for the person. The kid that is not allowed to be just a kid. 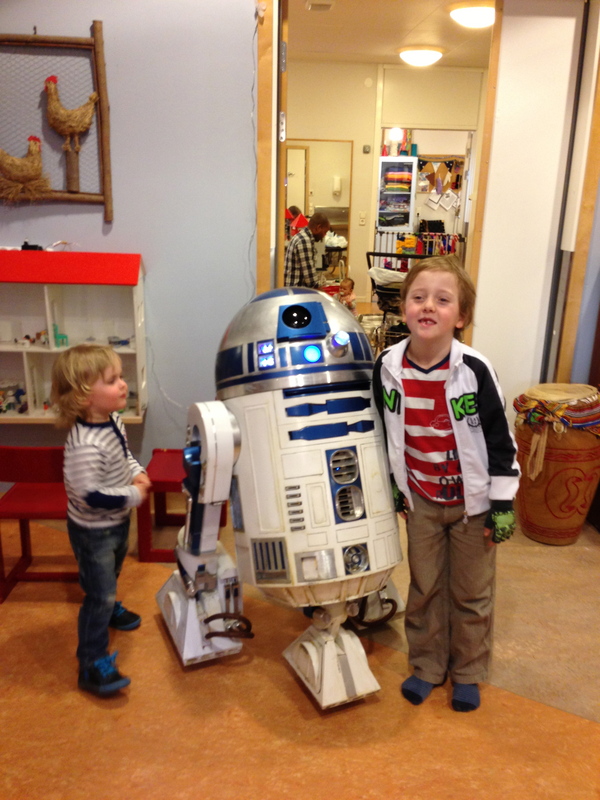 At least, when I visit a children’s hospital like this with R2, it allows the kids to forget about their illness, if only for a minute. To allow them to be “just kids” for a little while. To bring a smile to their faces that should be a natural thing for kids their age, but only comes now and then and far too infrequent. It is always with a hint of sadness that I leave children like that. Kids, that spend too much time struggling to sit up. To eat. To find something to smile about. I always feel like there could be so much more I could do. That I don’t do enough. But at least I’ve provided a short escape for them, if only for a few minutes. I wish it wasn’t neccessary.